1) Determine the normal force, denoted N, of the surface against the object. If the surface is horizontal, then this force is equal but opposite to the force of gravity, which equals 9.8 times the mass of the object. For example, a 5 kg block has a normal force of (9.8)(10) = 98 Newtons. 2) Look up the coefficient of friction of the surface the object is sliding on and the object itself. This can be found in the appendix of most introductory physics textbooks. This coefficient is denoted u. For example, the coefficient for a dry piece of wood on brick is 0.6. 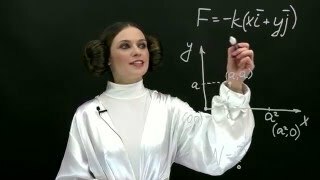 3) Multiply the normal force by the coefficient of friction. This will give you the resulting force of friction. For example, the 10 kg piece of wood sliding on concrete has a force of friction of uN, or (0.6)(98) = 58.8 Newtons.